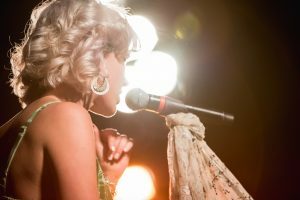 The outrageously talented and equally enjoyable soul singer Joss Stone is back with a collection of new songs quite literally born of a pair of traditional rhythms from the cradle of civilization. 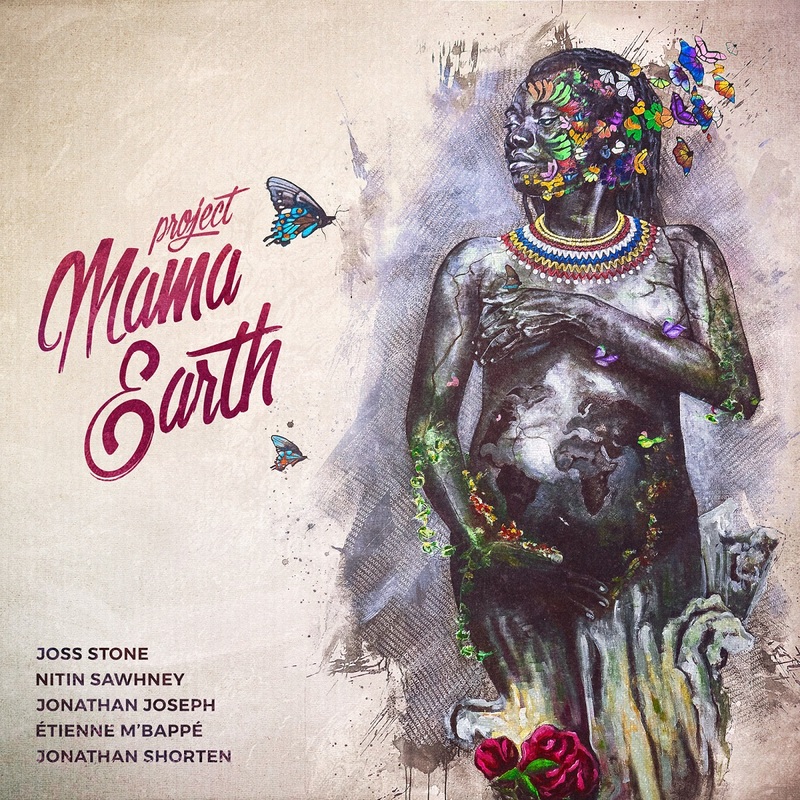 Inspired by Joseph’s book about the rhythms of Africa, Mama Earth is a six-song set rooted in two ancient Cameroonian rhythms – the Mangambe and the Bikutsi – and brought to life by Stone’s otherworldly voice and a group of master musicians. Ancient rhythms and Stone’s timeless vocals aren’t the only key elements that run through this unique project – a river runs through it as well. As Stone explains, she penned some of the tunes while sitting along a river, while others were concocted in her home kitchen. As Stone explains, “The whole project is about Mother Nature,” and intended to be from her perspective. Is Mama Earth a call to action on climate change? An exploration of the origin of music? An opportunity to pivot from Stones’ signature sound? As you’re likely to glean from out conversation, the answer to all of those questions is a resounding yes, no and maybe so! I’m at my boyfriend’s house. I just did a bit of Christmas shopping in town, actually. Very nice. I’ll send you my gift list at the end of our conversation (laughs). (Laughs) Okay, yes, please do (laughs). Thank you very much for your time. It’s an absolute pleasure to speak with you this morning. We will jump into the conversation about the record in just a second, but if you would first indulge me in a point of personal privilege. I’ve been doing the radio thing now for 30 years, and during that time I have been fortunate enough to speak with everyone from your close personal friend Mick Jagger to Beyonce, David Bowie, Smokey Robinson and on and on, and in my humble opinion, yours is one of the best voices on the planet. Oh no! That is so sweet of you to say. No, no, no! That’s very sweet! Needless to say, I’ve waited several years to tell you that. Oh, bless you! Oh my God, that’s so nice, thank you. I wish that was true, but I’m gonna take the compliment anyway! Thank you! Well, you don’t have to wish. So, speaking of planet, let’s get into Mama Earth. People talk about “roots music” all the time, well, I think you’re literally going back to the roots – and not just of music – but of mankind in a sense by going to Africa. What was the genesis of this project? Well, I have been on a bit of a project the last three years that has inspired, I suppose, projects like this one. This one was really just a simple chat idea. It was a little chat around the kitchen table and then we just decided to go ahead and do it. The inspiration behind it was the travel that I’ve been doing. I’m been trying to play a gig in every country in the world. And we’re at, like, 132 now, and there’s like 210 or something. And at each country we go, I make a collaboration with somebody from that land. Hopefully with the music that was born in that land. So, it kind of opens your mind up a bit. With Jonathan, the drummer Jonathan Joseph – he is part of my family – and he has been studying two rhythms – he’s been studying many rhythms – but two rhythms from Africa, from Cameroon specifically. So he said, “Hey, you’re doing all these collaborations, why don’t we do a little project with these rhythms? It’d be fun.” So I said, “Well yeah!” But I said I was a bit busy because I was trying to do this world tour, and he was like, okay, well we’ll just do like an EP, rather than do an album. We’ll just get people together, take a week, maybe ten days, and we’ll just do it. So, I said okay, that sounds fun. I called the guy I write with, (keyboardist) Jonathan Shorten, and I called (guitarist) Nitin Sawhney, who knows all about world music and he’s an amazing musician. And he called his mate (multi-instrumentalist) Etienne M’Bappe, who’s from Cameroon – and taught me a lot about the rhythm – and sounds amazing. So, we just basically got together. And then I made dinner for everyone and they made music and I wrote, and we smooshed it together and that was that. It was just a nice experience, really. It was wonderful. I hope people like it. Ooh! Does it?! Cool! Do you mean (singing) “Do you wanna be startin’ something, you got to be startin’ something?” Oh my god, I’m gonna have to go listen to that now! Maybe! Tell me a little bit about the song. That song was the first one that we jammed on. They went in there and had a little jam. I have this thing where I can be very impatient. I get like a little kid, in a way, and I can get like, “Come on, let’s do it like this and let’s do it like that.” So, I thought, “No Joss, no. Don’t do that. This is a different thing with a different sound. Basically, stay out of it.” So, I said, “Right boys. I’m gonna go in the kitchen and make a lasagna. You guys have a little jam. When you’re done, pop it on the gig stick and give it to me, and I’m gonna dance around my kitchen and make a song to it, while you guys work on something else.” So, that’s what happened. So, I had a bit of a conundrum on my hands. I thought, what am I gonna write this project about? Because I like one piece to be about one thing. And I thought, I’m not gonna write about boys this time. I’m gonna write about important things. And that is why Mama Earth kinda came, because I thought, I’m in nature, I love nature. I spent most of the time in the garden when we were doing this project, and I just thought, that’s what I need to write it about. So, that was the first thought, and I decided to go with my first thought, on everything with this record. That is a perfect segue to my next question, thank you very much. How much – if any – of this album is about the potentially ominous effects of climate change? Well, you know, I hope that people kind of listen to it and think, well, you know, we do have to respect our planet. Of course, I hope that. But, I also think that the idea that we as tiny little human beings can really break Mother Nature; I think that idea is kind of arrogant. There is a song on there called “She Speaks.” Actually, no, “If She Could Speak.” Oh, they retitled it, so they got the title wrong, which is really annoying. But, basically, it’s saying that. It’s like, yes, it would be really great if you turn off the lights, and it would be really awesome if you didn’t put plastic into the ocean. That would be really great. But, if we don’t respect it, I do believe that Mother Nature – or whatever that entity is – the universe, whatever you want to look at it as, the Earth, it will shake us off. And it will be done with us. And it will continue on, and it will be fine. It’ll probably be better off without us, to be honest. So, the question is not, do we want to save the Earth. The question is do we want to save the human race? Do we want to save ourselves? Because the Earth will be fine. So, that’s kinda how I feel about it. And is the “She” in the title Mother Nature? Yeah, yeah! I guess who ever wrote it down just decided to make it up (laughs). Well, Joss, I have to confess, that’s gotta be a first for me in all of these conversations I’ve had throughout the years, where an artist has said to me, “Yes, someone changed the title of the song.” That’s interesting. Yeah. Lucky that I’m mellow (laughs)! I just kinda look at it and said, “Oh, that’s so not it. Can we change it?” And they were like, “No, too late!” And I was like, oh, I guess I’ll make a cup of tea then (laughs). So, the six songs on the album are separated by a series of musical interludes. What was the idea behind using the interludes, each of which has a distinct different musical vibe? Yeah, they do. Well, it was a last-minute thing, really, but I said from the beginning I’d love to have interludes, just because I really enjoy them. 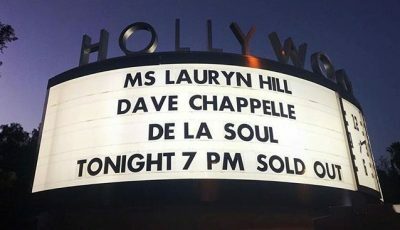 I think it’s because one of my favorite records is The Miseducation of Lauryn Hill, and I always loved the little interludes. I love the intros, and it kind of gives you a feel of the environment, or for what she was trying to say. I don’t know why, but for some reason I just really like them. So, I said to the boys, “Can we do them?” And they were like, “Oh, we’re running out of time.” And of course, they wanted to work on the track that we’d made. And I was like, “Come on, it’ll be fun (laughs).” So, we all decided that we would do one. And I really like them, and I think people are enjoying them. Because they’re very simple and easy to do. You don’t have to worry about, you just have to have a little fun. In listening to the album, I thought that when the interludes came it was almost, in a way, being at a concert, where you perform a piece and then perhaps you speak to the audience, or you change instruments. Yeah, it’s like a little breather. It’s like when you’re in the perfume shop and you smell the coffee beans in-between each scent. You’re like, “Right, I’ll get rid of that smell, let’s move on to the next.” It’s going from one feeling to the next, in a way. The interludes are sounds from my house, so you can hear little sheep and you can hear the birds I hear every day. So, you kind of hear the environment in which it (the album) was made. And the river. So, it’s nice. (Laughs) Wow! Did I? Do you know what, I don’t really know? I mean I think I started in a bit of a strange way. I had the idea – my dad and my mum kinda drilled it into me – that if you wanna do something in life, you can. And there isn’t really a limit to what you can do. So, that was really my mum and my dad, but mostly my mum was telling me that, and my dad would add in, play to your strengths. That was his thing. So, I used to think I wasn’t that academic at school, and I used to watch TV shows like “Top of the Pops.” And I remember seeing Aretha Franklin. There was a little, kinda commercial for her CD. I remember seeing that on TV and thinking, “Oh, my god, that’s amazing! What a wonderful sound,” and being very inspired by that. And I’d watch these TV shows and I thought, “Well, hang on, I can do that!” They’re just singing. They’re just singing in a microphone and dancing around. That looks like fun. And I thought, well, if I’m gonna get a job…it’s a bit of a weird story. It involves a horse. I was trying to by my horse back that my family had sold. And I thought, “Gosh, I need to get a job if I’m gonna do that. Why don’t I just do that singing thing that people do.” Then I don’t have to do the math and the science and the English and the, you know. So, that was kinda my way of thinking, and then I did it! Well, if you’re gonna be inspired you might as well go straight to the top with Aretha Franklin. (Laughs) The only one is that one. Okay. So, they are “Waterfall,” “Spring,” What Would She Say” – Sorry, Joss (laughs) – “Entanglement” and “Breathe.” I understand you wrote some or all of these songs while sitting near that river that we talked about earlier. Is that true? Yeah, so, some of them I wrote by the river and some of them I wrote – or worked on – in the kitchen. I spend a lot of my time in the kitchen, making food and doing creative things. The other day my mum and I had a painting day in the kitchen. A lot goes on in there (laughs)! It’s a really good place. I hear you make a mean lasagna! (Laughs) Yeah! I love to bake, as well. And it makes people happy. But, yeah, they (songs) were all written in and around there. The weather was good, so I think that kind of inspired the rhythm – my garden – that kind of inspired the concept of the record. It’s nice to be around nature. I need it. We all do. So, the actual season of spring symbolizes rebirth. Is the song (“Spring”) in any way some sort of clarion call to action about saving the planet? You know what, I do think, if you wanna hear like that than I that that’s really good, but there was a song that I sang, it’s called “Oceans (We Are the Oceans,” and I didn’t write it, but that was one that was released recently (2017), and it was separate song – it’s not on this project – but that is a call to action. That’s saying, everyone, pull yourselves together and we can make a really big, beautiful change, if we come together. That is a call to action. But the way that I’ve done this project, it’s not really. It’s just about Mother Nature and about how we are connected. “Entanglement” is about how we’re connected, and how we’re definitely of nature. Everything is. And in a way, to me, it’s spiritually fallow, if you like (laughs). For me, my gut tells me that this is the truth about what we are naturally. So, I suppose in a way it’s like a series of statements or ideas, but, obviously I’m nor the oracle; I don’t know. But this is kinda what I think. And it’s nice to take a minute and breathe it all in. Ah, breathe it all in. Thank you again for the segue to my final question. Yes, indeed! We’re in sync here today! (Laughs) We’re doing good here, yeah (laughs)! So, the album ends with the song “Breathe.” Breathing is literally life. I’ve always said in doing what I love and loving what I do for so long that music is life. I’m assuming you agree, and if so, why? Yeah. It’s a lovely thing. It’s a magical, beautiful thing. It’s a wonderful way of helping people feel, and helping yourself feel, and communicating. It is all nature. Us talking on the phone, and there’s different inflection in our voices, and things like that. That’s two animals connecting with each other and communicating. That’s what it is, that’s what we do. It’s a lovely, lovely natural thing. So, “Breathe” is really just about taking stock, and going, “Oh, this is it. This is life. This is beautiful.” If you were to lie down in the grass outside on a beautiful day, and really take note, and really be conscious of what’s happening around you, and know that, wow, what we have, what we are, everything that we get to enjoy – even the oxygen – is lovely! And we can take a moment and just realize that. That’s all! And on that note, this is a good place to finish. Joss, it’s been lovely, thank you, and as I said, a conversation I’ve been looking forward to for many years. I appreciate your time, and thank you for this record. It does hit a lot of emotions. It’s soothing, it’s thought-provoking – it’s pretty cool! Awe, thank you! I’m really glad you liked it. Hopefully we’ll get an opportunity to see you stateside, live at some point soon. We’re missing you! Awe! Yeah, that would be good. I’ll make an effort to come over. Come back soon. Alright, have a lovely day. Thank you very much. Take care.